The Airspeed Unreliable scenarios is one of the more challenging non normals faced by pilots in the simulator. Of the many serious malfunctions I’ve witnessed crew deal with in the simulator – this one more than any other has caught crew out to the point of a serious limitation exceedance (high/low airspeed) or potentially an airframe loss. In the real world, this failure has killed people in the past, with the Air Peru B757 accident being the most common one that comes to mind. However accident and incident statistics are replete with this outlier failure that has recently become a major focus of the world’s airline training systems, most especially after the loss of Air France 447 in the Atlantic. While the Air France and Air Peru events were clearly accidents of the first order with significant loss of life, unreliable flight instruments malfunctions have cause significant loss of control incidents that were eventually recovered. The following text is taken from another incident report where a fully functioning set of co-pilot (and presumeably standby instruments) remained available to both crew. In spite of this the aircraft suffered signficant deviations of flight path owing to a combination of the autoflight and pilot inputs. While I learnt to fly on conventional instrumentation, I am fundamentally a child of the magenta line . My last 10,000 hours have been in EFIS glass flight deck Airbus/Boeing aircraft that were heavily automated, and typically subjected to airline automation policies that both encouraged the use of the highest levels of automation, and discouraged the practice of manual flight. As a long haul pilot (all sectors 12+ hours, augmented crew) I typically fly perhaps twice a month, which means 4 sectors, two of which (if I’m lucky) where I get to be the handling pilot. If the weather is reasonable and the airspace/traffic conditions conducive, and my partner (and myself) sufficiently alert, I can do some manual flying. Typically I make every attempt to do so, but my experience of flying with and watching other crew fly, I find myself an outlier in this. Much of the flying I see is “200 ft to 200 ft” with the autopilot used to nearly the maximum extent possible. Simulators can provide this environment – but the preparation required of the instructors and the training management is extreme. This kind of simulation is called LOFT (Line Orientated Flight Training), or LOS (Line Orientated Simulation) – or when you’re being checked and not trained – LOE (Line Orientated Evaluation). While LOFT/LOS/LOE heavily influenced training thought up to a decade ago, many airlines seem to be back at that point where their training syllabii are driven towards a token half-session LOS/E – combined with multi-repositioning maneouvre training that completes set exercises as dictated by a regulatory matrix. I might add some of these maneouvre are patently irrelevant to “modern” aircraft. In my 777 which was designed in the early 90’s and is now over 20 years old, we have to practice the failure of all primary flight instruments, a failure more appropraite to the aircraft of the 50s, 60s and perhaps 70s. This basically means failing my two LCD screens (assuming I don’t just lean back and look at the two in front of my first officer), each of which have a mean time between failure of something like 400,000 hours. So far in my 9000 hours/18 years on the 777 I haven’t had one fail; only 391,000 hours and 782 years to go before this check event that I have to do every year becomes beneficial. However, after the same abscence, the cognitive skills required to operate safely and efficiently fade quickly and take more exposure to build to previous levels of proficinecy. This second one is crucial. You can throw a pilot into a simulator after 45 days do a few takeoff/landings and be satisfied that as far as that skill goes, that pilot is good to go. But what about the cognitive aspect? As a member of a small group of highly skilled, highly qualified pilots who seldom touch an aircraft, and have been this way for 8 years now, I can confirm that the least of my worries is takeoff, landing, basic flying. It’s everything else – and most particularly exposure to high workload situations that require practiced cognitive skills that present the greatest challenge to proficiency, efficiency – and safety. To (finally) bring this round to the original heading, if you barely get the chance to practice hand flying the aircraft (while thinking at the same time), how much harder is it going to be to respond correctly when your instruments are lieing to you? It’s worth noting that the simulator leaves the Flight Path Angle (FPA) displayed if selected. However while the FPA, PLI and Stick Shaker are fundamentally attitude based, all take airspeed as an input parameterfor validity checking. Boeing cannot guarantee that any of these will display, or will display correctly in the event of unreliable static/dynamic sources and hence the checklist warns against their use. However, it has been noted that when most crew takeoff with all static ports blocked (takeoff being the only time this is likely to occur), once crew recognise the malfunction, adopt the promulgated memory pitch attitude and thrust settings and commence the NNM checklist (by the time they achieve level flight in accordance with the QRH), they’re usually over 10,000 ft. 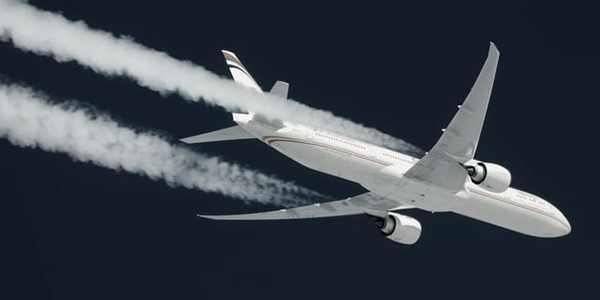 Selecting the outflow valves open at this point would result in an EICAS  CABIN ALTITUDE, followed by Oxygen Masks and a Rapid Descent – all while on unreliable flight instruments. As such, this technique is not recommend by most training/standards departments of the aircraft manufacturer. Using the cabin altitude earlier in this failure might indeed give you an altitude to maintain, but without valid power settings/attitudes, you’ll compromise your ability to maintain a safe airspeed until you get into the QRH. When Pitot tube air leak develops or pitot heater fails, a flashing display of ‘GPS generated airspeed’ can enhance flight safety to a great extend.